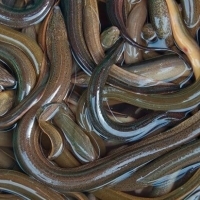 We offer to sell fresh eel,ready to supply large or small order,for more details please feel free to contact us. We offer to sell fresh anguilla bicolor,ready to supply large or small order,for more details please feel free to contact us. FEEL MAW Hello Thank you for visiting. Let me first introduce who we are. We are B. Trade International, who are exporting high quality marine products like fish maw or air bladder at at reasonable cost from Bangladesh since 2004. We process different types of fish maws and some of them are already ready in stock. For example- now quality EEL Maws are available because of the seasonâ? ?s being started here. If you are willing to buy EEL Maw/EEL FISH MAW, just make an inquiry with the desired quantity. We can provide as much as you want. Price depends on shipment location, Negotiation doesn't apply as we have the cheapest price with the best quality. One thing to remember is we don't compromise on quality. Payment: TT Delivery: By Sea/By Air/By Courier Origin: Bangladesh Minimum Order: Based on your requirement Packing: carton covered by pp bag Remarks: If you want samples the price will be depended on the sample quantity you want. Short on time? Let eel sellers contact you. We offer live European eel Anguilla Anguilla. Please contact us for serious inquiries. Fresh fish at st. Foam. Weight 4 to 7 pieces / kg , 35 to 60 cm /pieces. 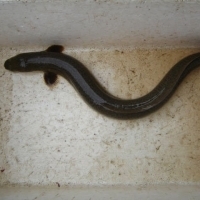 The size of fillet eel of anguilla anguilla betwen 200-1500. There is possiblity to make vacum and made frozen, depending on your order quantity. Seafood like ribbon fish, indian mackerel, loligo squid, octopus, eel fish, crabs, cat fish, cuttle fish, tuna, shrimps, sole fish, reef cod, grey mullet, sea bream, indian mackerel, cat fish, sardine, conger eel, ribbon fish round, ribbon fish (hgt), silver croaker, tiger tooth croaker, cuttle fish, squid fish, yellow croaker fish, octopus, top shell, crabs, shirmps. currently taking orders for glass eel s(eel fry) that will deliver in 4-5 weeks. We sell live eel (anguilla rostrata) from us (gulf of mexico)mar-nov and canada (new brunswick) apr-dec capable of delivering over 3,000 - 4,000 kg per week must take all sizes 150g -up (no sorting).